When you’ve gone to the effort of buying a new velvet jumpsuit and booking a lunchtime blow-dry, it only makes sense that you want your skin to glow through this season’s Christmas parties. Unfortunately, a combination of dry winter air and all those late, late nights make fresh, dewy skin a near-impossible feat. Throw in one too many cocktails and shopping stress, and you’ve got yourself a veritable complexion crisis. So what to do? We asked skincare specialist Debbie Thomas and ZO Skin Health dermatologist Rick Woodin, MD, to help us solve all our party-season skincare woes. Nothing makes me feel more virtuous than talking about my “dry January” plans. I’ve already imagined all the pun-filled captions I can post with my varying photos of green juice. (Joking… kind of.) But here’s the thing: While that might get us glowing into the New Year, chances are all the glasses of (insert your poison here) will leave you with a dull, dry base to work with. “Alcohol generally has a double impact on the skin,” Thomas says. “The first is dehydration. When your body is dehydrated, it will always send any remaining moisture to the internal organs, leaving the skin parched. If you’re drinking night after night, eventually the production of new skin cells will become compromised. The skin will then become irritated, blotchy and dry. The Solution: That’s not to say you can’t enjoy a few glasses at the work Christmas party. Just make sure you drink plenty of water and herbal teas in the build-up and (if possible) between cocktails. “Skincare can’t necessarily counteract the quite damaging effects of excess alcohol consumption, but it can help to alleviate the look of a dry, dull complexion,” says Woodin. His tip? 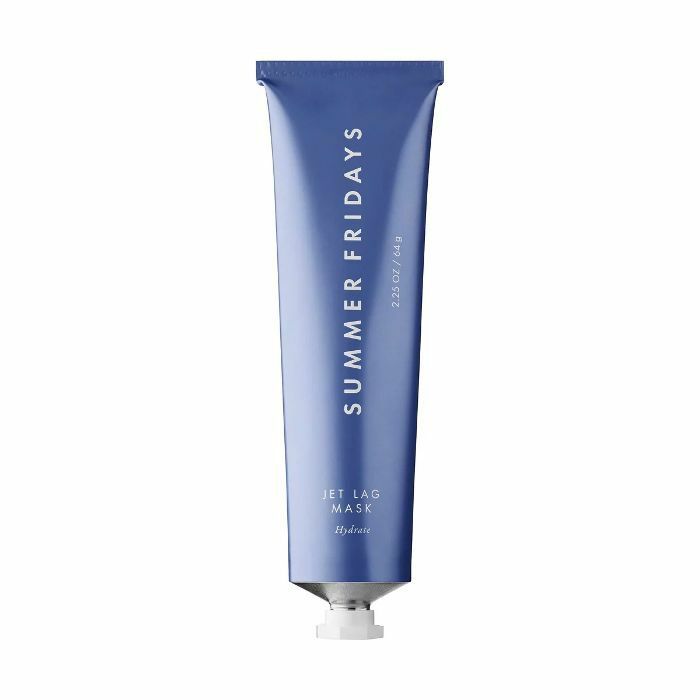 Use products that contain plenty of hyaluronic acid, like Summer Fridays’ cult-famous sodium hyaluronate–infused Jet Lag Mask (£42). Pop it on in the a.m., let it sit for 10 minutes while you brush your teeth/hair/eyebrows, and then blot the excess off with a towel. Next, apply a water-like hyaluronic acid serum over the top. The Ordinary Hyaluronic Acid 2% + B5 (£6) is as good as any, and it’ll be kind to your Christmas-beaten bank account. There are two types of people: those who get all of their Christmas shopping done on Black Friday and those who can still be found traipsing the aisles of John Lewis come Christmas Eve. If you fall into the latter group, you’ll know that the stress of present panic is really real. Couple that with a party-induced lack of sleep, and your skin is bound to take a hit. “When you’re under increasing stress, your adrenal glands release the stress hormone cortisol, which affects blood flow throughout the body and damages the collagen in your skin,” warns Woodin. “This accelerates the ageing process and deters your skin’s ability to repair itself, which can result in a condition called skin fatigue; something that many people suffer when they find themselves caught up in a busy lifestyle. The Solution: So how do you fight festive skin fatigue? Step one is tackling dryness, which is where your hyaluronic acid and a cooling sheet mask will come in handy. As for the dullness, vitamin C is your number one ally, as it’s a proven brightener that retexturises rough skin, resulting in a smoother, more reflective surface. 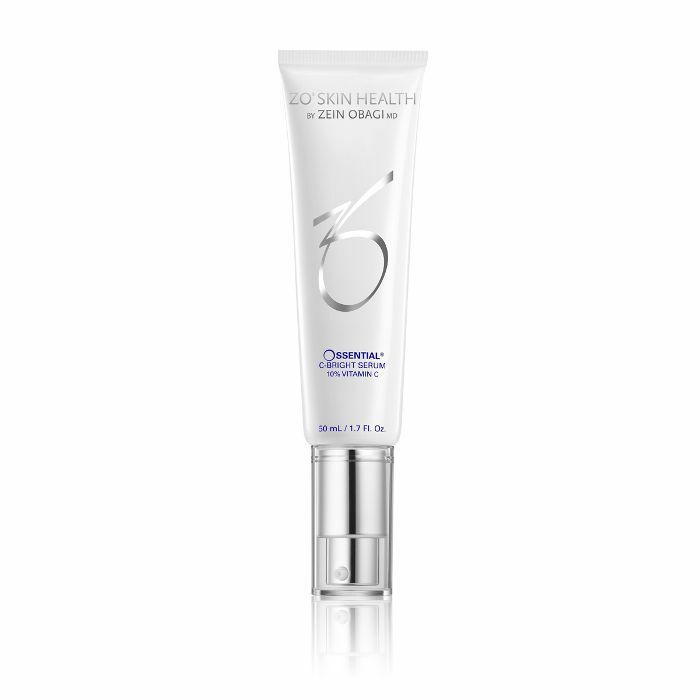 For an ultra-potent dose, try ZO Skin Health C-Bright Serum (£67), which contains ascorbic acid, the purest form of vitamin C. Wear it underneath your day cream; then swap foundation for a few dots of concealer (only where you need it) and Charlotte Tilbury Flawless Filter (£30) worn as a sheer, illuminating base. Let’s be honest; we’re all aware that sleeping in your makeup is a massive no-no. But none of that seems to matter when it’s past midnight and your bed is calling. Even using a face wipe is better than letting your foundation clog your pores all night, not least because of all the blemish-causing bacteria that gets to work while you sleep. “Sleeping in makeup is one of the worst things you can do for your skin,” says Rick. “It promotes bacterial infections, which leads to clogged pores and breakouts. It also dries the skin out, causing redness and sensitivity, whilst speeding up the ageing process, leading to fine lines and wrinkles.” Yikes. Make sure you give skin a good cleanse as soon as you wake up. Use a cream cleanser like Liz Earle Cleanse & Polish (£15) first; then follow with a grainy exfoliator to unclog pores. Clinique Exfoliating Scrub (£21) is suitably scrubby without being too harsh. Follow with a sheet mask like Estée Lauder Advanced Night Repair PowerFoil Mask (£62). The final step? “Roll your face with a cold jade or rose roller to promote lymph drainage and reduce puffiness from the effects of the night before,” says Rick. Up next: 13 party-season hairstyles you’ll absolutely love.